I love a good, solid earring. How about you? Do you wear earrings? Are you a stud person, dangles? A hoopy kinda gal? I love ALLLLLL types of earrings, but lately, I've been alternating between a few very specific earrings, but also throwing in some super FABULOUS pieces that I just can't resist! 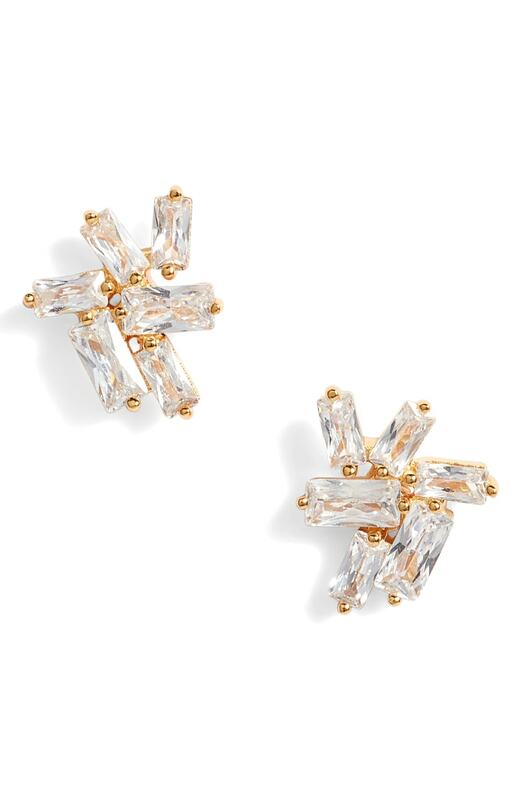 These are one of my absolute FAVORITE earrings at the moment!! I probably wear them close so every day, if not every other day. They're simple, sleek, GORGEOUS, and I'm obsessed with the backs! This was my second JF purchase and since then, I've bought another. Her hoops are addicting, so beware! *Sunglasses: Diff Eyewear in "Bella"
These beautiful little studs are perfect when you don't want to wear anything too major, but still want to add a little sparkle and pizzazz to your day! My girl Alana is whippin' up all KIIIINDS of fabulous pieces in her little jewelry lab, and these...these gorgeous babes are everything. Every time I wear them I get SO many compliments and I can't help but smile because I know how much hard work and love went into making these lovlies. I have been on a monstera leaf kick lately and when she released these, I about lost it! LOVE LOVE LOVE!! These super fun, cherry red hoops were gifted to me for my birthday by the bestie and I am OBSESSED! I would wear them every day if I didn't work at a dried fruit plant, but then again who are we kidding. I wore these cuties to Outside Lands and lemme tell you, they were a HIT! I'm loving anything that is big, colorful and most importantly, EYE-CATCHING! I'd say these definitely check all those boxes! *Sunglass: Diff Eyewear in "Stella"